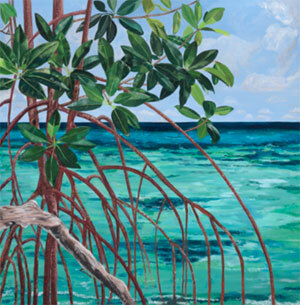 MAP's 2013 Children's Mangrove Art Calendars are now available! 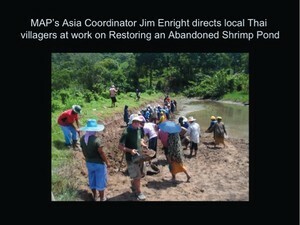 The book Beach Forests and Mangrove Associates in the Philippines by J.H. Pimavera and R.B. Sadaba (ISBN 978-971-9931-01-0; National Library CIP QK938.C6 581.75109599 2012 P220120602) is now available. aves, flowers, fruits, utilization and silviculture. We strive to keep active links in our newsletter. However, due to circumstances beyond our control, occassionally links to stories may become broken. If you find a link to a story is not functioning, please cut and paste the headline into your browser search bar. In most cases you should be able to locate the original story. It's that time of year again! We are doing our end-of-year request to our members to support our work. We have just learned that a generous MAP supporter is willing to donate up to $10,000 as a matching gift fund to match your donations. Please help us reach our goal of raising that $10,000 in matching funds now! Thus far, we have raised $2,000, so we are now one fifth of the way there! But time is running out, as we have omly until December 31st to raise the matching funds! Please do take this challenge and donate to MAP today. Help MAP stay effective in these changing times. We, at Mangrove Action Project are deeply shocked and troubled by the news concerning the violent eviction of local ancestral resource users from the mangrove ecosystem in Bilsa village, Muisne, Esmeralda province. The high-handed police action of burning the villagers’ homes and their assets, even without allowing them time to take away their personal belongings, and destroying their livelihoods and community projects, such as small scale farming and crab harvesting, is highly questionable and reprehensible. There was no mercy even for children and elderly people, confirming that it was planned with a cruel intent. This action amounts to unwarranted violation of the human dignity and rights of the people concerned. It is an action in violation of the Constitution of Ecuador and international human rights treaties. 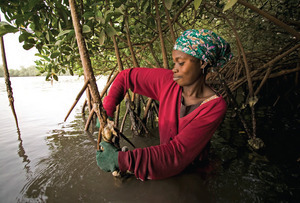 These communities do not represent a threat to the mangrove ecosystem but are rather stewards and guardians of this vital ecosystem, as their economic activities are in line with sustainable use and conservation, and their presence prevents external destructive activities (such as industrial shrimp farming) from entering the ecosystem. They should be supported and encouraged instead of humiliated and evicted. We express our solidarity with the affected people of Bilsa and we urge you to use your position to investigate the action of the police and those responsible for planning this vile action and bring them to justice. The human rights and dignity of the Bilsa community must be respected and restored as soon as possible. We would also like to take this opportunity to request information about other evictions of mangrove-dependent local communities that have recently taken place in Guabo, El Oro Province; in Verdum, Manabi Province; and in Pechiche, Montanita, Santa Elena Province. Looking forward to receiving a response from you. At times, the weight of the Cross bore down on me. Is it because I belong to the fisherfolk? Is it because I was born without a title deed on free-hold land? Is it because I just couldn´t abide seeing the wee fish, the crabs and the shrimps killed-by-stenching-stillage of the Sugar Mill which I have to denounce withoutrest? Why do they want to evict me and my sister from the islands, just as they evicted the other fifty-one families who lived here? Why do they want to destroy our roots? Why do they want to land-less us, water-less us? Do you not know that a fish doesn´t live without water and neither do we, away from the mangrove? That´s why there are those who died after being evicted! That´s why Antonia dreams daily of the islands. She had a stroke and pleads each day that God take her. So also Cosma. That´s why Ivanildo, Antonia, Carvoeiro, Zeza ... are on medicine for blood pressure, a condition they didn´t have when they lived on the islands. Do they want to kill us? I´m being forced to leave the islands, me and my sister. How will I ever survive away from the islands! I don´t want to go hungry like the others who were evicted! The only promise that the Sugar Mill keeps is to evict us to a life of misery. Yes, I´m an Island Warrior. a member of the DMCR (department of marine coastal resources) and the pond owner. decandra, Lumnitzera littorea, Rhizophora mucranata, Scyphiphora hydrophyllacea). coconut tree after a few minutes of carrying. I take a group picture of Ning and the others. I ask myself. Then I feel something tickling me beneath my trousers and running up my leg. Immediately I roll up one leg of my pants to see, what is bothering me: it´s a large red ant. is the love or at least the respect for mother nature in this behaviour I ask myself ??? INDIA - India has raised with the World Trade Organization what it calls “unscientific and unjustified” health standards imposed by Japan on its shrimp exports. The move comes as more than 140 containers of frozen Indian shrimps await clearance at Japanese ports. Japan, which has recently lowered the acceptable level of ethoxyquin in shrimps, has since August rejected seven Indian consignments of the seafood. Ethoxyquin is an anti-oxidant widely used in shrimp feed. “We have raised the issue with the sanitary & phytosanitary committee of the WTO. We believe the new standards that have been imposed are unscientific and unjustified,” a commerce department official told ET. According to industry estimates, export of shrimps from Odisha and West Bengal has fallen by up to 50 percent in the last four to five months due to the Japanese restrictions. In 2011-12, shrimps accounted for half of India's total seafood export of USD 3.5 billion.